Cough can become pretty annoying and persistent over time. Even though this is perfectly normal occurrence it should be treated if it is still present for more than a week or so. 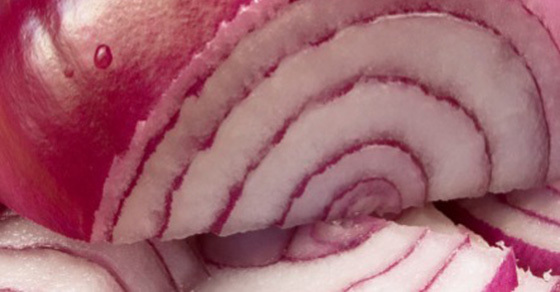 Onion is great tool against different respiratory conditions, including colds and cough. Onion can act as a good expectorant if taken raw. Sulfur compounds and flavonoids, which can be found in onion, can be very beneficial for the heart and for treating different diseases and health conditions such as arthritis, diabetes, cholesterol levels etc. This vegetable is also a great antioxidant. Remove onions’ moustache and skin then cut them into four pieces. Put the onion pieces in a pot together with the water and cook until the water starts boiling. Continue to cook until there is half of the water left. Let the mixture cool then strain it. Drink one and a half glasses of the resulting liquid two times a day. You can improve this beverage’s taste by adding honey and/or lemon juice. Clean and wash the onions and cut each onion into four pieces. Do the same with the apples and crush and clean the walnuts. Put the ingredients in a bowl, put the water in it and place the bowl on fire.Cook until half of the water evaporates. Consume 1 cup of the resulting liquid three times a day. Add little bit of lemon juice and/or honey in order to improve the liquid’s taste.